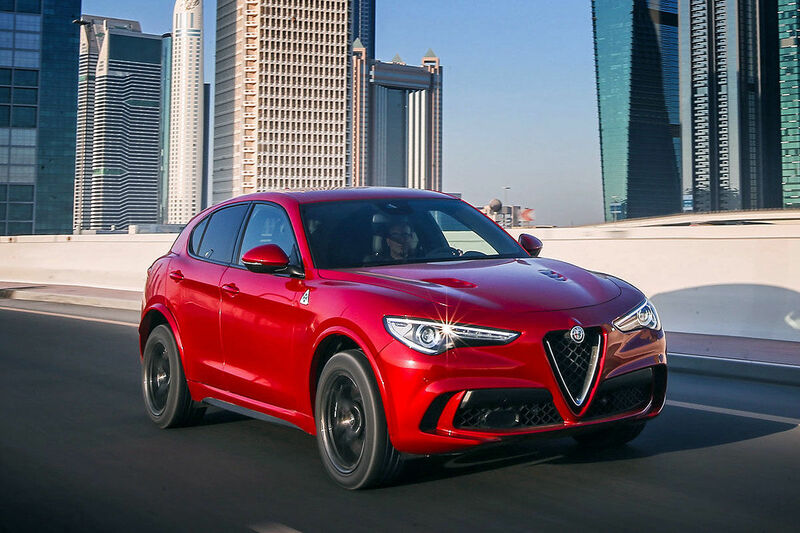 Alfa Romeo Stelvio Motoren: 2.0 Turbo, Quadrifoglio, 2.2 Diesel. 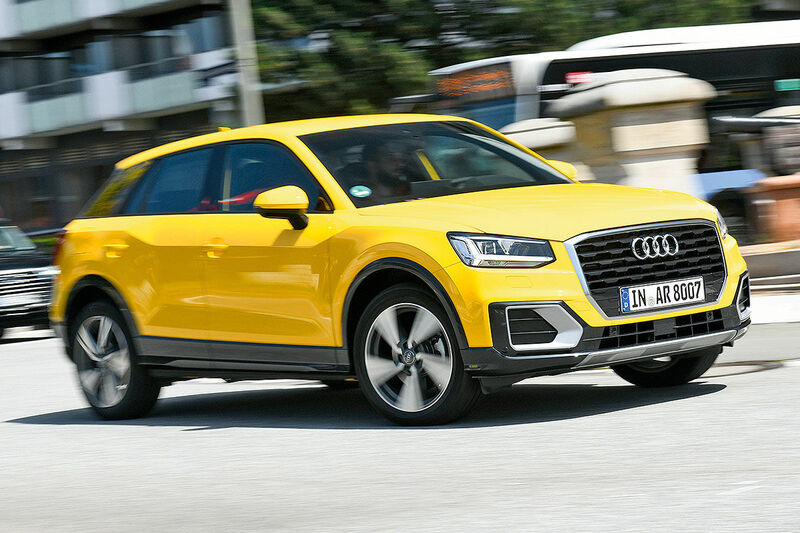 Audi Q2 Motoren: 30 TDI. 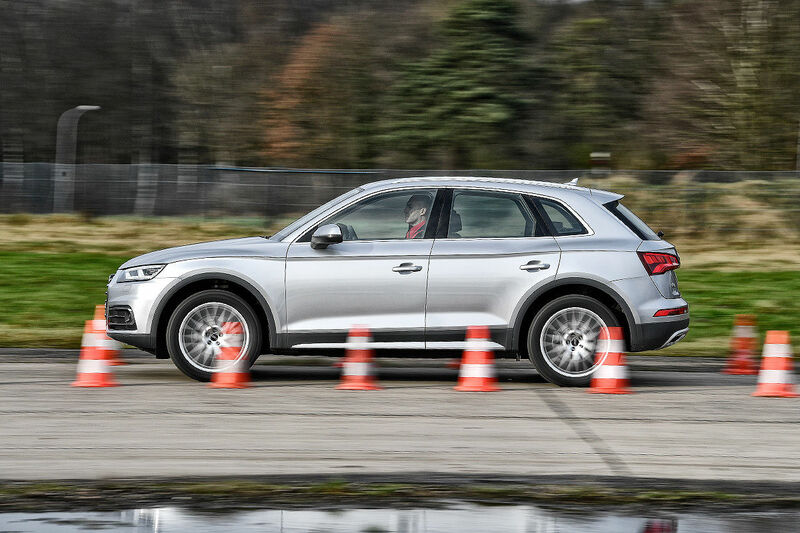 Audi Q5 Motoren: 35 TDI, 40 TDI. 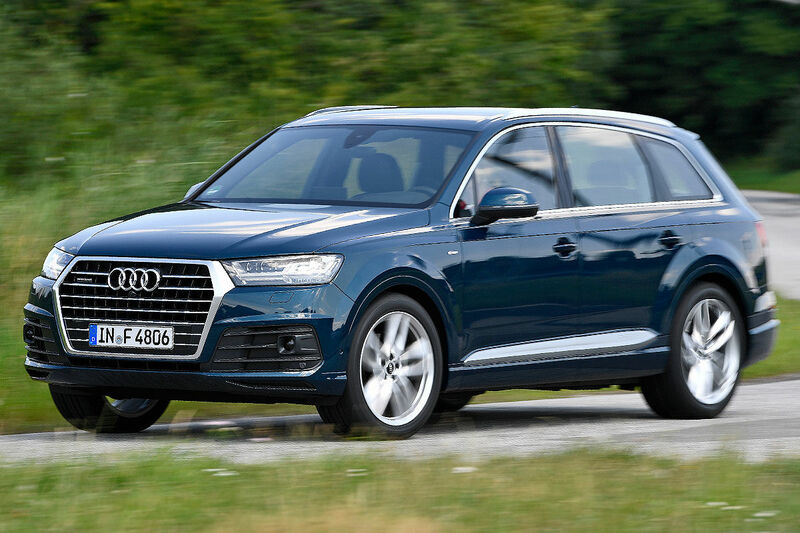 Audi Q7 Motoren: 45 TDI, 50 TDI. 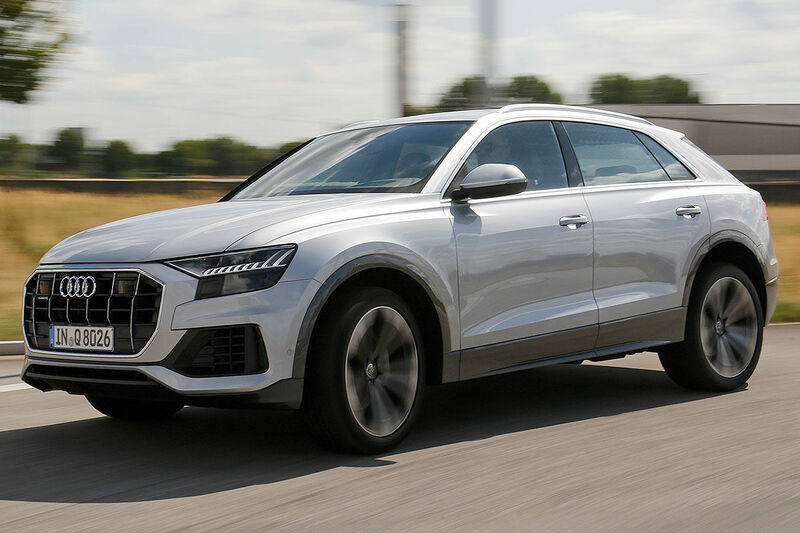 Audi Q8 Motoren: 50 TDI. BMW X1 Motoren: sDrive18i, sDrive20i, sDrive18d, xDrive18d, xDrive20d. 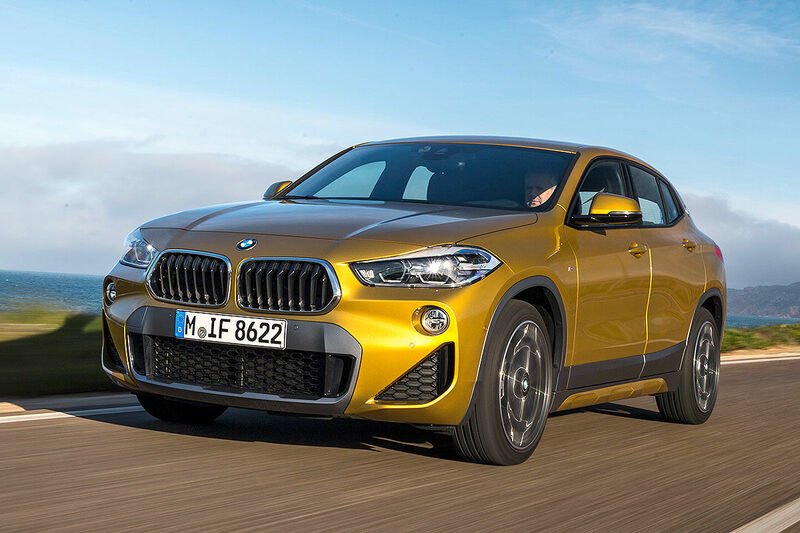 BMW X2 Motoren: sDrive 18i, sDrive20i, sDrive 18d, sDrive 18d, sDrive 20d, xDrive 20d. 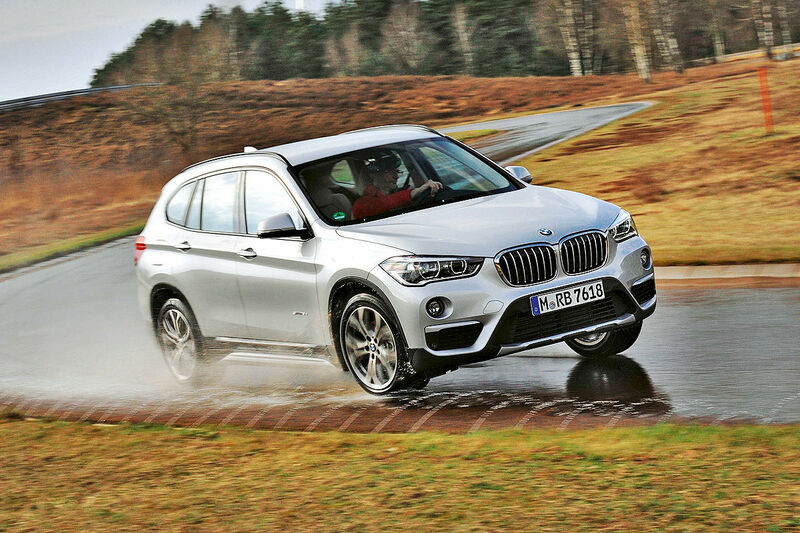 BMW X3 Motoren: xDrive20i, xDrive30i, xDrive M40i, xDrive30d, xDrive M40d. BMW X4 Motoren: xDrive20i, xDrive30i, xDrive M40i, xDrive30d, xDrive M40d. 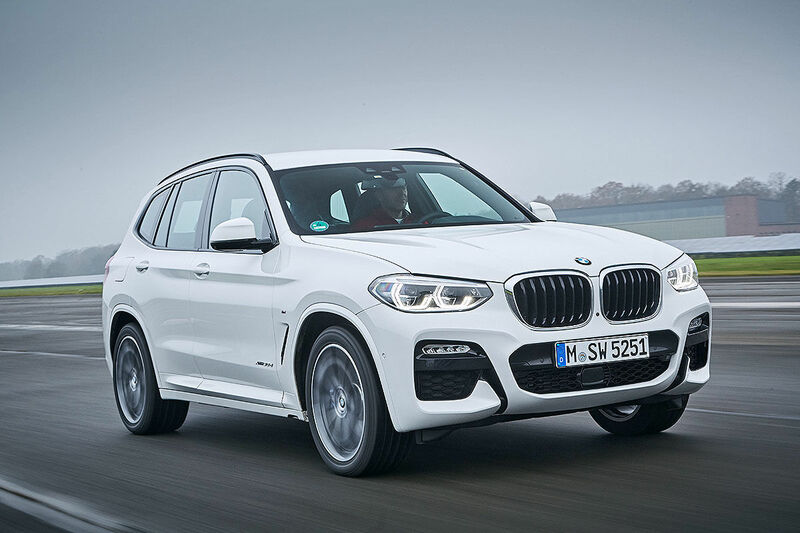 BMW X5 Motoren: xDrive40i, xDrive 30d, xDrive M50d. Marktstart: November 2018. Citroen C3 Aircross Motoren: PureTech 82, PureTech 110, PureTech 130, BlueHDi 100, BlueHDi 120. Citroën C4 Cactus Motoren: 1.2 PureTech 110, 1.2 PureTech 130, 1.5 BlueHDi 100. Dacia Duster Motoren: Blue dCi 95, Blue dCi 115. DS7 Crossback Motoren: PureTech 180, PureTech 225, BlueHDi 130, BlueHDi 180. Fiat Panda Motoren: 1.2 8V, 1.2 8V LPG, 0.9 8V Twinair Natural PowerGas, 0.9 8V Twinair Turbo. Fiat 500L Motoren: 1.4 16V, 1.3 Multijet 16V, 1.6 Multijet 16V. Fiat 500X Motoren: 1.6 E-torQ, 1.0 GSE, 1.3 GSE, 1.3 MultiJet, 1.6 MultiJet, 2.0 MultiJet. Ford EcoSport Motoren: 1.0 EcoBoost, 1.5 EcoBlue. Ford Kuga Motoren: 1.5 EcoBoost. Ford Edge Motoren: 2.0 EcoBlue, 2.0 EcoBlue Bi-Turbo. Honda HR-V Motoren: 1.5 i-VTEC. Hyundai ix20 Motoren: 1.6 blue. Hyundai i20 Active Motoren: 1.4. Hyundai Kona Motoren: 1.0 T-GDI, 1.6 T-GDI, 1.6 CRDi. Hyundai Santa Fe Motoren: 2.4 GDI, 2.0 CRDi, 2.2 CRDi. Hyundai Tucson Motoren: 1.6 GDI, 1.6 T-GDI, 1.6 CRDi, 2.0 CRDi. Jaguar E-Pace Motoren: P200, P250, P300, D150, D180, D240. Jaguar F-Pace Motoren: 20t, 30t, E-Performance, 20d, 25d, 30d, SVR. Jeep Renegade Motoren: 1.0 T-GDI, 1.3 T-GDI, 1.6 MultiJet, 2.0 MultiJet. Jeep Wrangler/Wrangler Unlimited Motoren: 2.0 T-GDI, 2.2 CRDi. Jeep Compass Motoren: 1.4 Multiair 140, 1.4 Multiair 170, 1.6 MultiJet 120, 2.0 MultiJet 140, 2.0 MultiJet 170. Jeep Grand Cherokee Motoren: 3.0 V6 Multijet. Kia Stonic Motoren: 1.4, 1.0 T-GDI, 1.6 CRDi. Kia Niro Motoren: 1.6 GDI Hybrid, 1.6 GDI Plug In-Hybrid. Kia Sportage Motoren: 1.6 GDI, 1.6 T-GDI; 1.6 CRDi, 2.0 CRDi. Kia Sorento Motoren: 2.4 GDI, 2.2 CRDi. Range Rover Evoque Motoren: Si4, Td4 (auch als Cabrio), eD4. Land Rover Discovery Sport Motoren: Si4, Sd4, eD4, Td4. Range Rover Velar. Motoren: P250, P300, D180, D240, D275, D300. Marktstart: Marktstart für Euro 6d TEMP: Juli/August 2018. Land Rover Discovery Motoren: Si4, Sd4, Sd6. Range Rover Sport Motoren: 2.0 Si4, P400e, 5.0 V8 Kompressor, SVR, 3.0 SdV6, 4.4 SdV8. Range Rover Motoren: P400e Hybrid, 5.0 V8 Kompressor, 3.0 SdV6, 4.4 SdV8. Lexus RX Motoren: L 450h. Mazda CX-3 Motoren: Skyactiv-G 121, Skyactiv-G 150, Skyactiv-D 115. Mazda CX-5 Motoren: Skyactiv-G 165, Skyactiv-G 194, Skyactiv-D 150, Skyactiv-D 184. Mercedes GLA Motoren: 180, 200, 250. Mercedes GLC/Coupé Motoren: 250, 300, AMG 43. Mercedes GLE Coupé Motoren: 400, AMG 43, AMG 63, AMG 63 S.
Mercedes GLS Motoren: 400, 500, AMG 63. Mercedes G 500/Mercedes-AMG G 63. Mini Countryman Motoren: One, Cooper, Cooper S, One D, Cooper D, Cooper SD. Mitsubishi Eclipse Cross Motoren: 1.5 T.
Mitsubishi Outlander Motoren: 2.0, 2.4 Plug-in Hybrid. Opel Crossland X Motoren: 1.2, 1.2 DI Turbo, 1.5 Diesel. Opel Mokka X Motoren: 1.4 Turbo, 1.4 LPG, 1.6 Diesel. Opel Grandland X Motoren: 1.2 DI Turbo, 1.5 Diesel, 2.0 Diesel. Peugeot 2008 Motoren: 1.2 PureTech 82, 110 und 130, 1.5 BlueHDi 100 und 120. Peugeot 3008 Motoren: 1.2 PureTech 130, 1.6 PureTech 180, 1.5 BlueHDi 130, 2.0 BlueHDi 180. Peugeot 5008 Motoren: 1.2 PureTech 130, 1.6 PureTech 180, 1.5 BlueHDi 130, 2.0 BlueHDi 180. Rolls-Royce Cullinan. Marktstart im Februar 2019. Seat Arona Motoren: 1.0 TSI. Seat Ateca Motoren: 1.0 TSI, 1.6 TDI. Skoda Karoq Motoren: 1.0 TSI, 1.5 TSI, 1.6 TDI. Skoda Kodiaq/Kodiaq Scout Motoren: 2.0 TDI. Suzuki Ignis Motoren: 1.2, 1.2 SHVS. Toyota C-HR Motoren: 1.2 T, 1.8 Hybrid. Toyota Land Cruiser Motoren: 2.8 D-4D. Volvo V40 Cross Country Motoren: T3, D2, D3. Volvo V90 Cross Country Motoren: T5, T6, D4, D5. Volvo XC40 Motoren: T3, T4, T5, D3, D4. Volvo XC60 Motoren: T5, T6, T8 Twin Engine, D3, D4, D5. Volvo XC90 Motoren: T5, T6, T8 Twin Engine, D5. VW cross Up Motoren: 1.0. VW T-Roc Motoren: 1.6 TDI. VW Touareg Motor: 3.0 V6 TDI SCR.